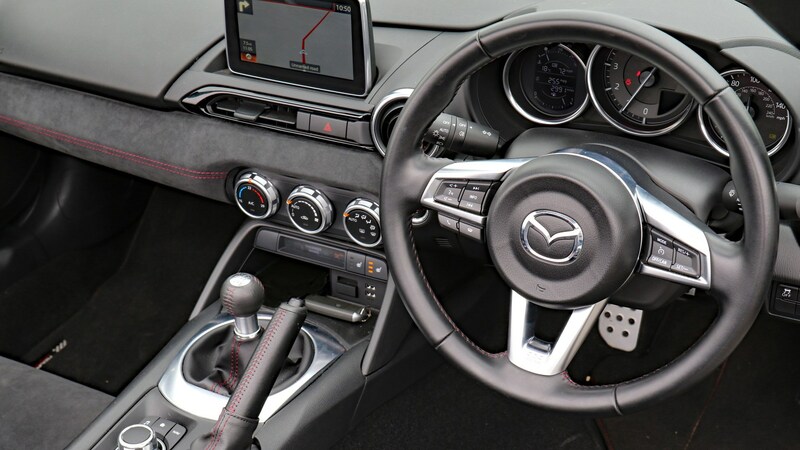 What is it about the power of a red centre-marker on the steering wheel to somehow make a car instantly more desirable? 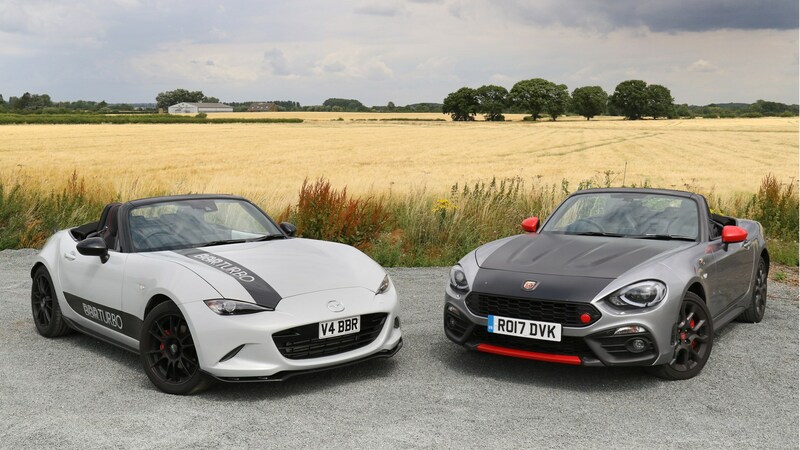 The Mazda MX-5 is as perfectly balanced as a dietitian’s dinner plate – just the right amount of power, grip and body control combined to create a wholesome roadster free of any artificial colours or flavours. While that healthy living approach is all well and good on your favourite B-road, it does start to drag a bit on faster carriageways where the naturally aspirated Mazda gets monstered by diesel estates. 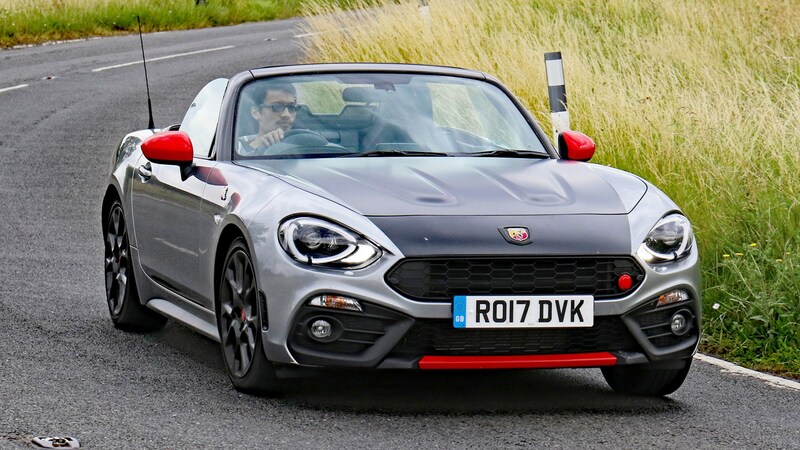 The simple solution is the spicier, turbocharged Abarth 124, with 168bhp and a wedge more torque. 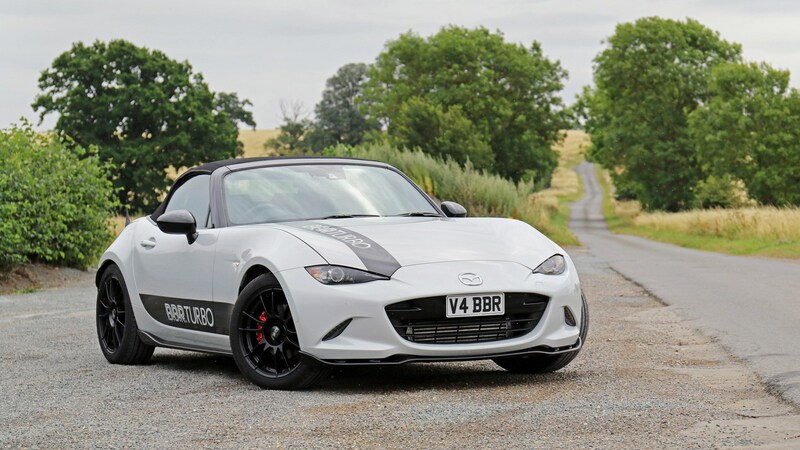 Thing is though, for the same £30k, British tuning company BBR will sell you a modified MX-5 with an even bigger turbo, good for a colossal 248bhp. 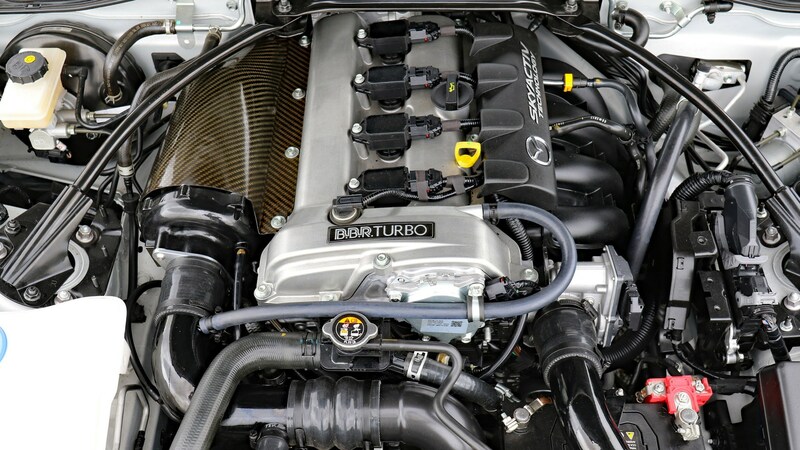 The main ingredient in the BBR MX-5 stage one turbo is a twin-scroll blower, mated to a cast iron manifold and aluminium intercooler. With the bonnet up you’ll notice the carbonfibre heat shield, stainless steel lines and silicone pipes, plus a nicely stealthed K&N Typhoon induction kit – while invisible upgrades include a tweaked ECU. This all results in more power at the top of the rev range, 700rpm higher than the standard car, and crucially more torque (236lb ft of it!) at the bottom. Net result? 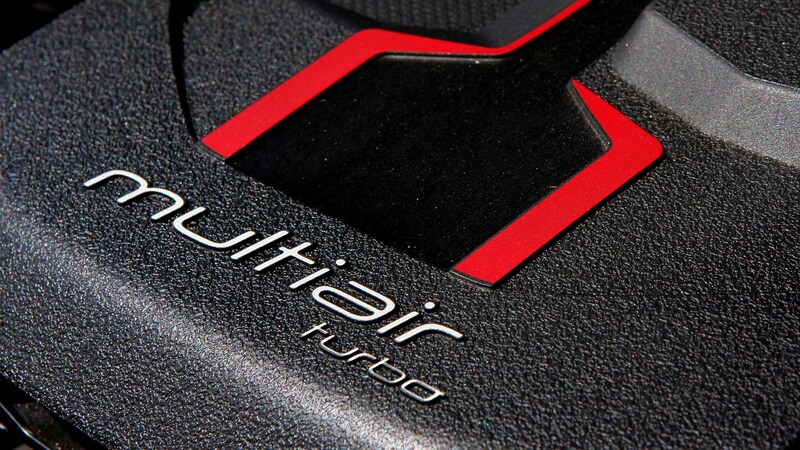 Expect 0-60mph in five seconds, as opposed to 7.3, and real in-gear pace. 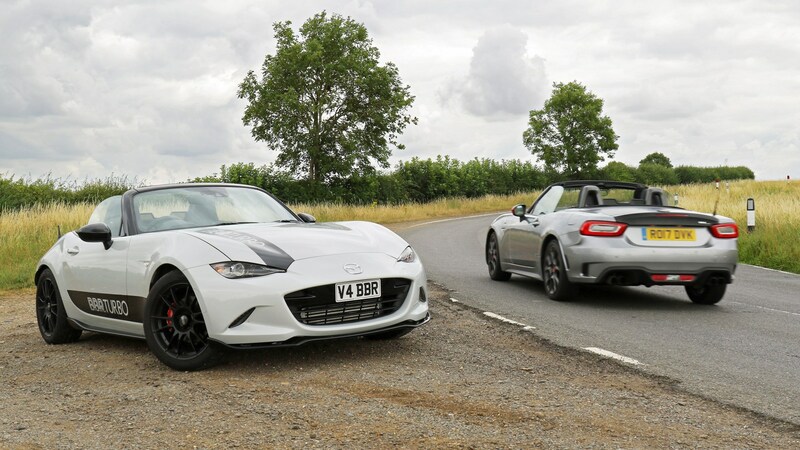 The BBR MX-5 picks up quicker and offers much more in the way of meaningful acceleration, but pleasingly the standard car’s character is retained. 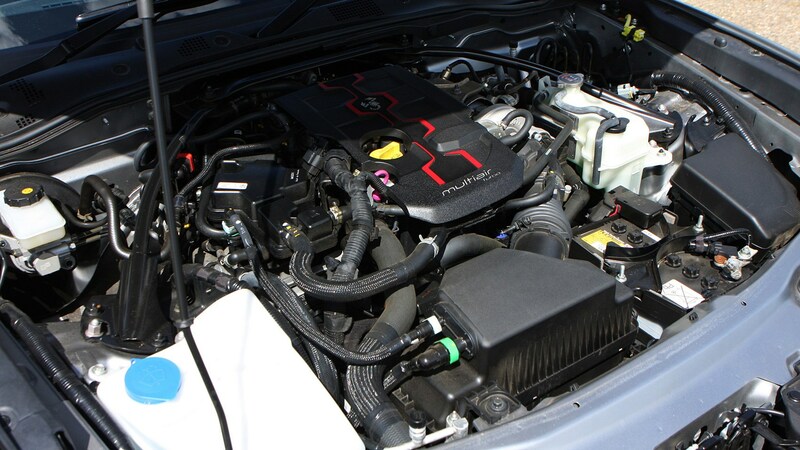 You still need to use revs to get the most out of it, and the uprated motor is more than happy to oblige – but the extra torque makes it considerably easier to live with. 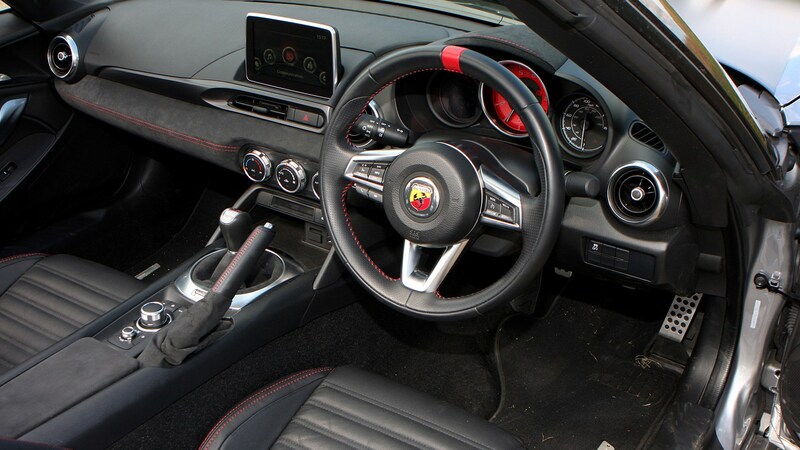 Haven’t you just described the Abarth 124? 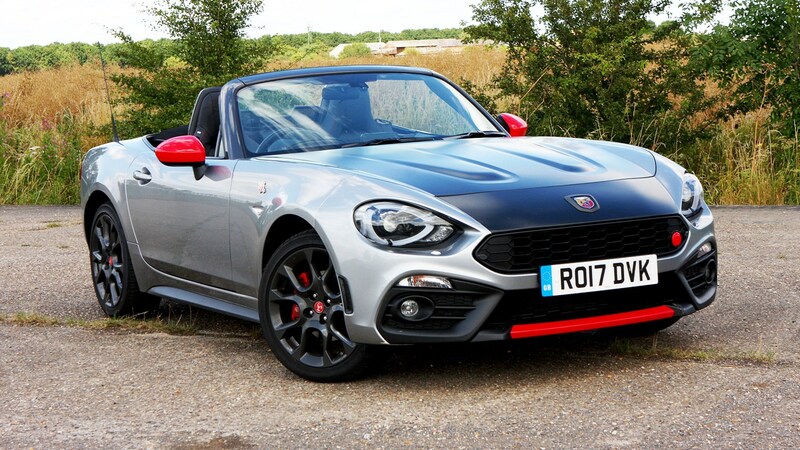 Italy’s multi-coloured roadster features the same 1.4-litre petrol engine and burble-matic Record Monza exhaust we’ve seen put to good use in whizzier Fiat 500s, with a respectable benchmark sprint taking just under seven seconds. 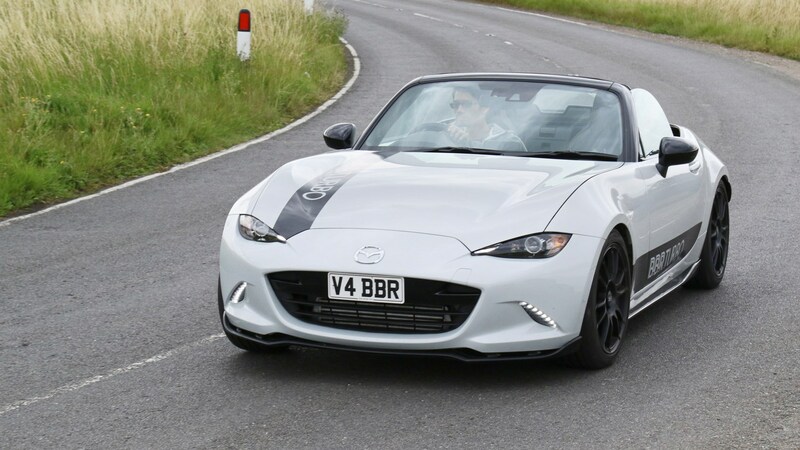 It also improves on the standard MX-5 with a lowered ride height, Bilstein shocks and tweaks to the springs, anti-roll bars, power steering and stability control. In the real world it feels much faster than the stock Mazda thanks to its boosted torque of 184lb ft, delivered low down in the engine’s rev range. 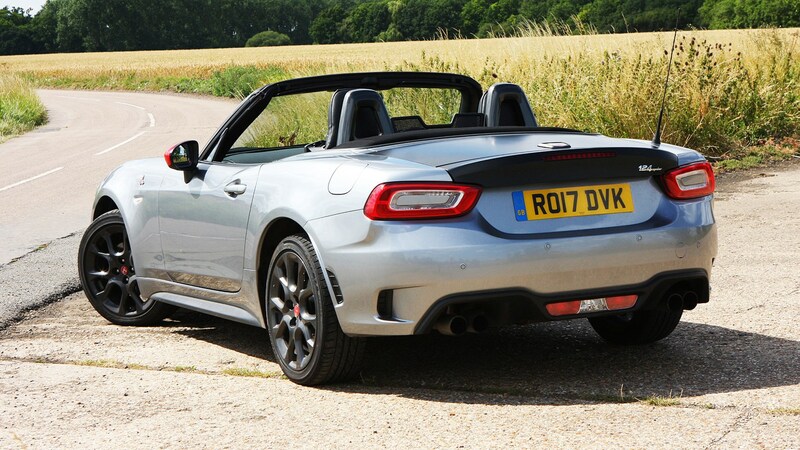 To be honest however, while its speed is more accessible, it doesn’t deliver much more of a punch than the more basic (and cheaper) Fiat 124 – a car only 29bhp adrift of the Abarth, which itself also feels more forceful than the MX-5. 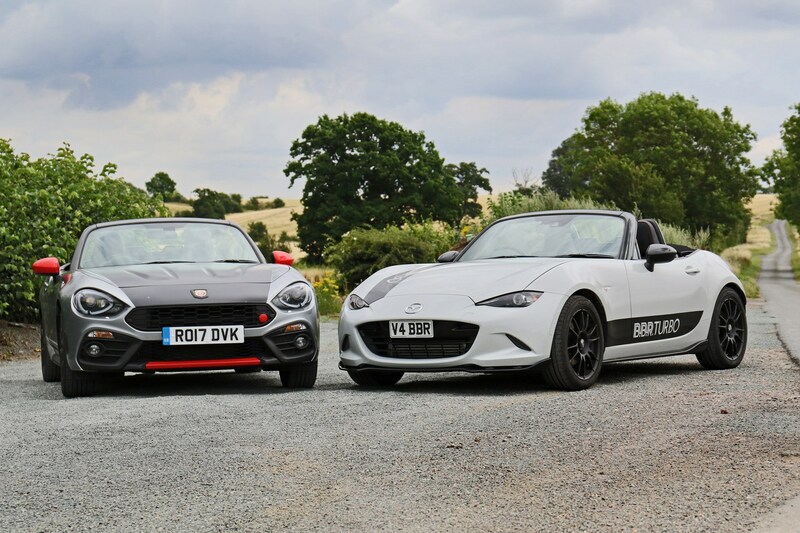 In our back-to-back test, the Abarth’s 1.4-litre motor felt almost lazy in comparison with the upgraded BBR Mazda, which rips through its rev range with entertaining enthusiasm. Pleasingly, both cars had remarkably little turbo lag, though. That rather depends on your world view – and there are practicalities to consider. 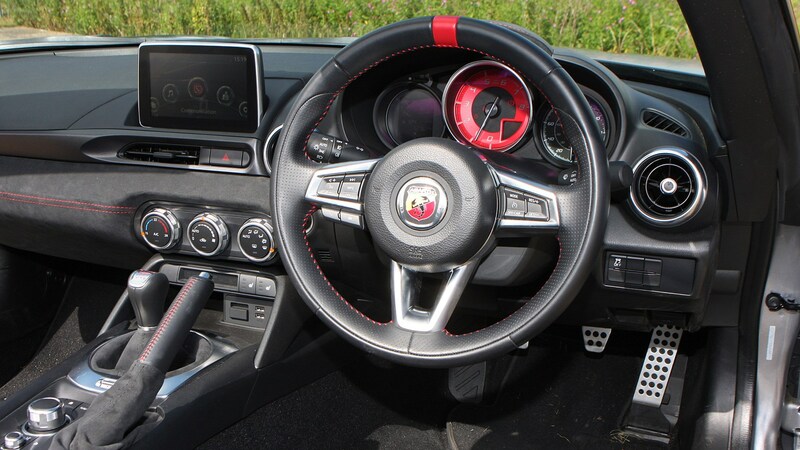 Buying and maintaining an Abarth 124 is reasonably simple; there are finance options and plenty of dealerships, and much of its engineering is tried and tested in multiple FCA Group and Mazda cars. 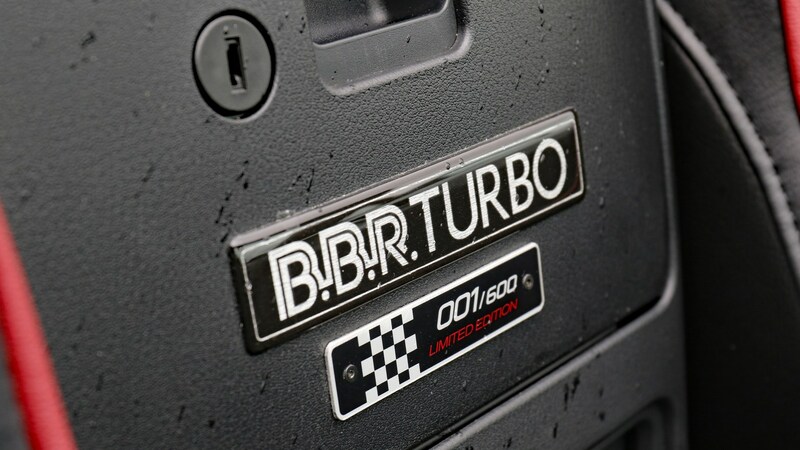 The BBR car is a bit more complicated – there’s only one dealership (around the corner from AMG’s Formula One base in Brackley) and while you can buy a new stage one turbo MX-5 direct for £29,995, the more cost-effective solution would be to source a 2.0-litre second hand model in decent nick and get it upgraded. 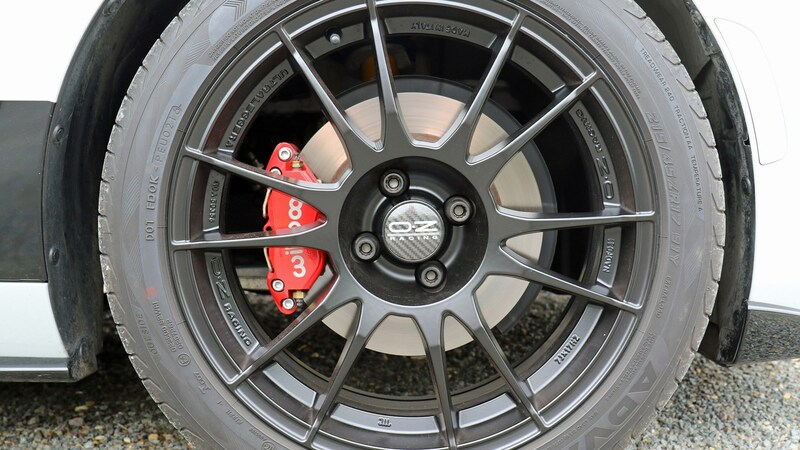 Two things skewed our view of the BBR car – its uprated clutch and lower, firmer suspension. 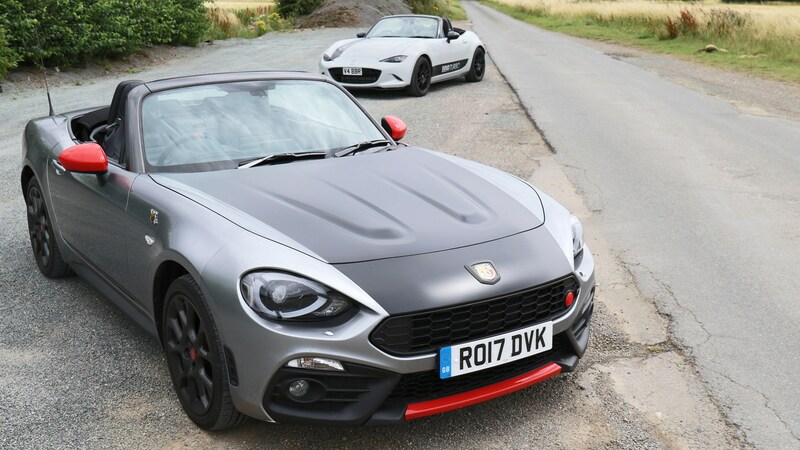 Neither is standard with the stage one turbo kit and both worked towards making the MX-5 feel less accessible and harder work than the Abarth. 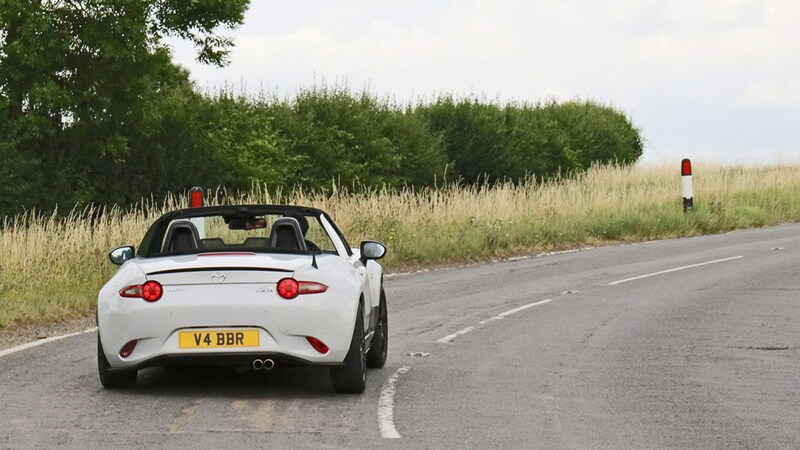 As tested, the Italian car is the one we’d choose for everyday use - getting into it felt like putting on a familiar pair of shoes (albeit a pair two sizes too small for this 6ft 3in driver) while the BBR took a good day’s worth of driving to get fully dialled into. 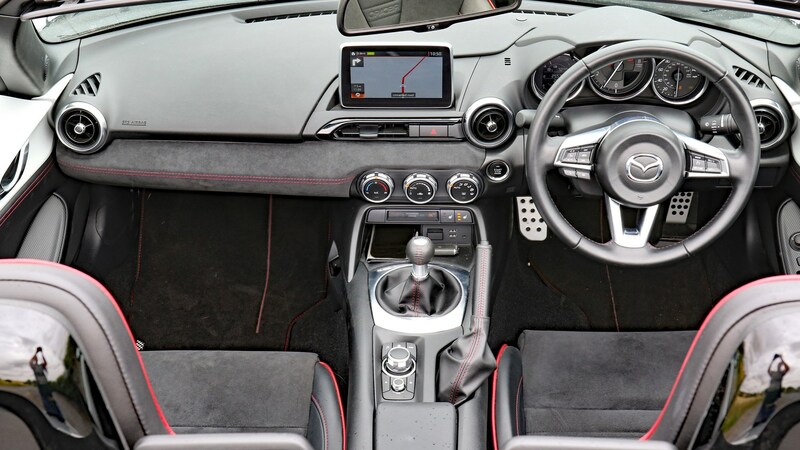 With a lighter clutch pedal the result would be considerably less cut and dried. 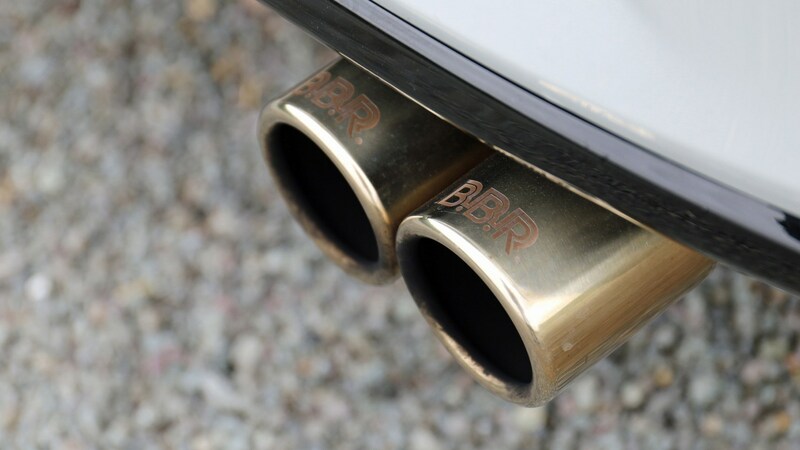 Put the work in with the BBR, though, and the extra rewards come with time, and that is perhaps its best attribute - the tauter springs result in a more electric turn-in and the stronger clutch means it could take higher boost pressures and more power could follow. In truth the stage one car feels like an absolute sweet spot in terms of power – perhaps one percent too fast for the road, so you never have to reach for it, with limits low enough to exploit at sub-ban velocities. 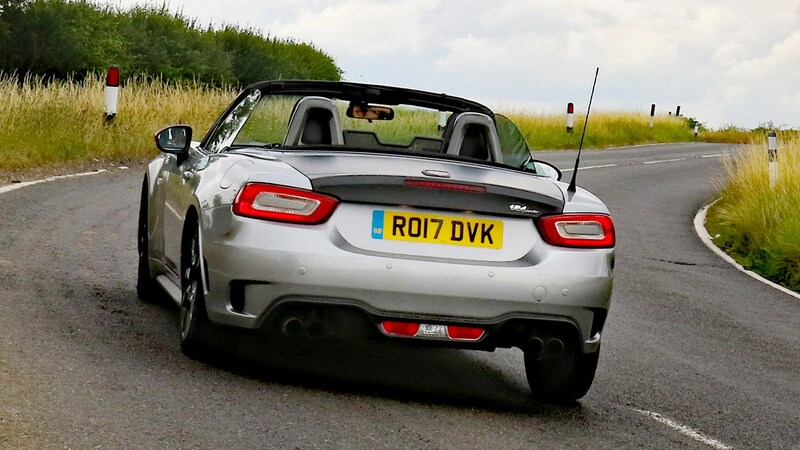 It might sound like we’re damning it with faint praise but while the BBR isn’t going to challenge the Porsche 718 Boxster for the title of ultimate small roadster, it does a brilliant impression at a considerably lower cost.